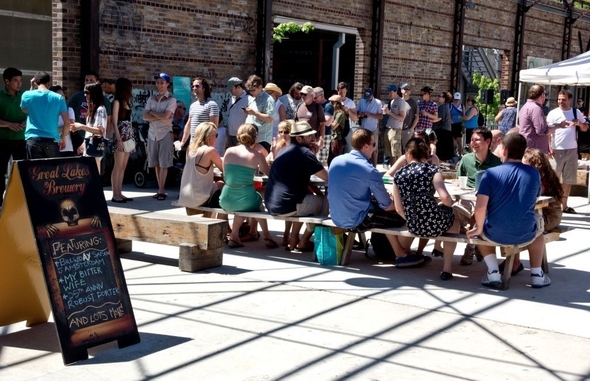 Last week the Brewer’s Backyard was featured in an article in BlogTO by Ben Johnson! The article, which recapped our first event with Great Lakes Brewery, had a lot of great photos from what was a very successful first event. We had over 10 different Great Lakes beers available, including a series of unique one-offs, and three different sandwiches from Fidel Gastro’s, each made with Great Lakes. Thanks BlogTO for the coverage, and we’re glad that we can provide Ben a backyard for some beers this summer! Stay tuned for details about our Father’s Day Triathlon coming up on June 17th.